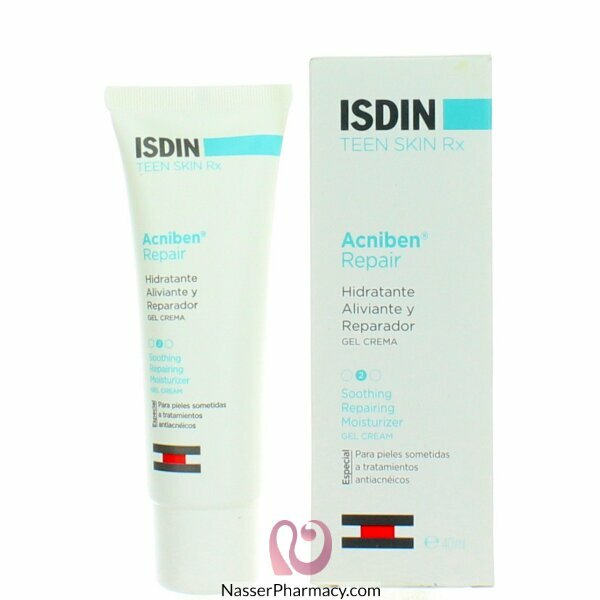 ISDIN developed Acniben Repair cream as a complex formula for undergoing acne treatment, dry and irritated skin which experiences dryness peeling and requires specific hydration and care. And promotes the skin’s own defense. Benefits: It helps eliminating imperfections and stopping blackheads from appearing. It moisturizes, protects and helps to instantly and rapidly repair skin weakened by some dermatological treatments. Absorbs quickly, with no oily residue. How to use: Apply a sufficient amount of gel cream daily morning and/or night, to the area that requires hydration and care. Massage gently until completely absorbed to boost its effects.